It’s just the start of Star Trek season. The official trailer and poster for the new movie Star Trek: Beyond have been released, reports TrekMovie. The trailer comes just a few days after CBS released the first teaser for their upcoming Star Trek reboot TV series. 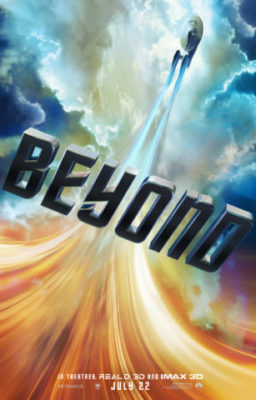 Based on Gene Roddenberry’s original 1960s show, Star Trek: Beyond continues the adventures of Captain Kirk (Chris Pine), Spock (Zachary Quinto), Uhura (Zoe Saldana), Chekov (Anton Yelchin), and the rest of the Enterprise crew. Star Trek: Beyond premieres in theaters on July 22nd. CBS’ Star Trek series is expected to premiere in early 2017. What do you think? Are you a Star Trek fan? Are you more excited about Star Trek: Beyond or CBS’ new reboot? More about: Star Trek, Star Trek: canceled or renewed?